Durable snug fitting 2000 ft. 15-1/4 in. 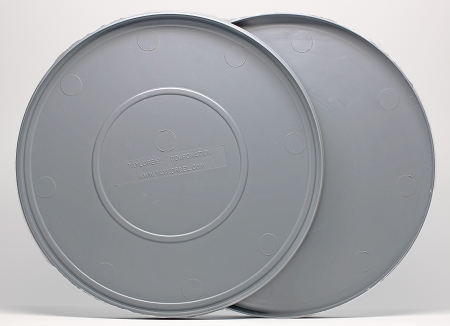 16mm movie film storage canister. Also fits our 2300 ft. reels. Has raised rim for easy stay in place stacking. Grey plastic.